Last week’s parliamentary elections in Afghanistan revealed a society in transition, displaying signs of genuine democratic progress as well its opposite: persistent sociopolitical stagnation. But progress and backlash against it have traditionally co-existed in Afghanistan, so the elections represent continuity rather than change. With an electorate that is largely illiterate, the campaign – like its predecessors – was a highly visual affair, with faces of numerous candidates staring down at the people from the heights of billboards. Among the many promises of a better future there was a “Yes We Can” message, looking oddly out of place in Kabul’s dusty environment. Given Obama’s lack of faith in Afghans, the copycat message was unintentionally ironic. But how does voting work in a place where most people are acutely politically aware but can’t even read their candidates’ names? I have perused the lists to get a sense of what voters hold in their hands when casting their ballots. Judging by the lists, the vast majority of candidates were independent, having no party affiliation. In a conformist society such as Afghanistan, this display of individualism is rather odd. Cynics would argue that independent candidates are easier to bribe, hence candidates’ reluctance to appear linked to a larger organisation. But it is equally true that political parties are chiefly known for their war atrocities and so, being associated with them reduces candidates’ chances of success. This, too, explains the appeal of independent candidacy. Given the sheer number of candidates, making a choice must have been a daunting task for many voters. With little indication of candidates’ political orientation, voters were left to draw upon visual clues, and titles carried in names. Those unable to read had to rely solely on photographs and symbols – but what sort of politics are voters supposed to associate with images of shovels, envelopes, and aeroplanes? Democracy and illiteracy don’t seem to go smoothly together. Candidates’ photographs were equally unhelpful. The only candidates that stood out were the attractive ones and those sporting striking beards or interesting headgear. A few stood out because they were smiling. Other than that, the lists were a fair cross-section of largely anonymous-looking, average Afghans. The sheer length of the lists must have been disorientating, perhaps explaining why some electoral officials allegedly felt tempted to interfere and manipulate voters. Aside from the bewildering lists of nearly identical-seeming candidates, the election bore signs of both positive and negative trends. Positive change chiefly manifested itself in the candidacy of women and members of religious minorities, including Sikhs and Hindus. But even such encouraging trends were often testimony to the courage of candidates rather than reflecting a more open society. In the words of Partapal Singh, a candidate of the Sikh community, despite having lived in the city for centuries, Sikhs are treated merely as guests in Kabul. Kabul is a city of immigrant returnees and in Partapal Singh’s experience, most of its inhabitants have little idea of Kabul’s history of religious diversity. Like most candidates, Singh found that his campaign posters had been torn. But unlike most candidates, his defaced posters had threatening messages written on them: “You are an infidel. How dare you stand as a candidate?” Yet the fact that Partapal Singh’s supporters were not exclusively Sikh and also included young Muslims shows that democracy is indeed taking root in Afghanistan. While international media outlets focused on Taliban threats of violence, internal tensions that appeared in the election – unrelated to the Taliban – were largely ignored outside Afghanistan. The most regrettable tension was ethnic distrust chiefly felt in the Hazara community. As with other traditionally-sidelined groups in Afghanistan, exile and jihad have equipped the community with an acute sense of historical injustice and desire for equality. Given this background, voting arrangements should have been planned very carefully in Hazara-occupied places but, judging by early reports, in some neighborhoods and districts polling stations either closed prematurely or simply were not opened. Voters also complained of a shortage of ballot papers. The reason for these shortcomings is so far unclear but some Hazaras regard it as a deliberate attempt to exclude their community from the country’s power structure. The fact that because of Taliban threats, large numbers of Pashtuns have also been excluded has failed to persuade some Hazaras otherwise. Interestingly, similar accusations of deliberate manipulation of democracy have been raised against the Hazara community itself, chiefly in the city of Herat. In the absence of proper investigation, such inter-ethnic disputes are usually left unsolved, allowing resentment to turn into hatred, further damaging the process of democratisation. Judging by initial reports, the most enthusiastic voters were the traditionally excluded entities, ethnic and religious minorities and women in calmer urban centers of the north and west. But even in these regions, rural voting patterns had all the hallmarks of block voting, and sometimes fraud. Observers have also noted the conspicuous presence of a new class of wealthy Afghans who owe their wealth to reconstruction and contracts with the US army. Members of this new business class have been observed trying to buy votes, either by paying henchmen to stuff ballot boxes or by entering into deals with community leaders. It is highly ironic that the same class that is the greatest financial beneficiary of the US mission is also the one that is undermining democracy through corruption and in doing so, damaging the US’s reputation in Afghanistan. But then again, historically Afghan elites have always caused their own downfall and this, too, represents continuity – albeit of a regrettable kind. Kabul: Kabul is at the cusp between history and the modernity where the burqa mingles with women in Western clothes. Afghanistan is attempting to take another step on the democratic ladder in only its second Parliamentary elections. Every inch of space on Kabul’s streets is covered with campaign slogans. Unabashedly, women stare down at passerbys as much as men candidates. Twenty five percent of Afghanistan’s Wolesi Jirga – the Lower House – is reserved for women. That’s 68 of the 249 seats. 406 of the over 2,500 candidates are women and one of them is an Afghan Sikh, Anarkali Honaryar. A defaced poster illustrates the conservative society she’s fighting in. A trained dentist, Anarkali wanted to be a pilot, but now she’s trying to open the door to be the country’s first non-Muslim woman MP. “Whether Hindu or Sikh, in Afghanistan we’re Afghans. 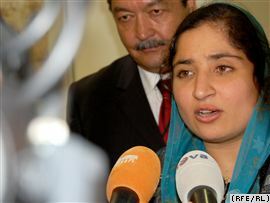 I will work not for any one group but for Afghans,” she said. There were 50,000 Sikh families in Afghanistan in the 90s. Following Taliban rule, currently, the Gurudwara and Masjid committee estimates there are only 1200 Sikhs and about a 100 Hindus in Kabul. Afghan Hindus and Sikhs look up to Diwan Niranjan Das who signed the declaration of Independence in 1919 and became a minister. But, there have never had a representative since 1992. Pritpal Singh Pal was in the Afghan Army under the rule of Najibullah, 22 years ago. He retired after a leg and eye injury and went on to become a Unani doctor. He’s trying to catch both the old and young vote. Pritpal has joined Anarkali in becoming the second Sikh to run for Parliament this year. This is his motivation and his warning. “Afghans are on the street without work; they’re on the chowks. They could become bigger than the Taliban,” he said. Farzand Afghan dar khidmat Afghanistan which means an afghan offspring serves Afghanistan. This is PSP’s campaign slogan as this David goes up against Goliaths in the race over 600 candidates run for 24 men’s seat in the Capital. KABUL (Reuters) – Afghan President Hamid Karzai chose a female, Hindu candidate when he voted in Saturday’s parliamentary election, two palace officials close to him said. 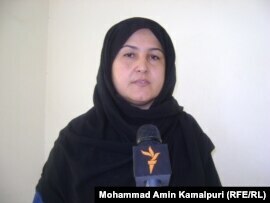 Just two Hindu candidates were on the list of about 600 vying for parliamentary seats in the Afghan capital. Karzai’s choice could annoy supporters in deeply conservative, Muslim Afghanistan. His backers include powerful ex-warlords who were fielding their own candidates and religious conservatives who are opposed to female politicians and unlikely to be happy Karzai is backing a non-Muslim. “It was Anar Kali Honaryar,” one palace official told Reuters, giving the name of a female activist who largely relied on Muslim supporters during her campaigning. Hindus lived in Afghanistan and dominated trade long before the advent of Islam in the 7th century. Their numbers shrank over the centuries and tens of thousands of those who remained fled Afghanistan after civil war broke out in 1992, leaving just a few thousand behind. Women are a minority in Afghan public life, although 25 percent of the 249 seats in parliament are reserved for them. Many of the 406 female candidates running in the election have been a particular target for threats and intimidation, and overall women’s grip on rights won since the 2001 ouster of the Taliban — like education and the vote — remains tenuous. Karzai’s wife joined the millions of Afghans who did not make it to the polls — although not because of the security concerns or frustration about corruption that kept others away. The couple’s only child is sick and she did not want to leave him alone, Karzai told a female election worker who later recounted the conversation to a Reuters reporter. Anarkali Honaryar is a groundbreaker in Afghan politics. She is vying for one of the 68 parliamentary seats reserved for women in Afghanistan’s 249-seat lower house of parliament, which puts her among 406 women attempting to overcome threats, gender bias, and cultural obstacles to reach office. Anarkali Honaryar, a long-time activist, hopes to become the first non-Muslim woman to win a seat in the Afghan parliament. But the 26-year-old Honaryar has an additional goal: the Sikh activist aims to become the first non-Muslim woman to gain a parliamentary seat in voting on September 18. As the country prepares to elect its second parliament since the fall of the Taliban in 2001, Honaryar is working hard to persuade residents of Kabul to vote for her. While the vast majority of people she speaks to are Muslim, she promises to struggle for social justice for all Afghans, irrespective of their religious and ethnic affiliation. The lack of security in many parts of Afghanistan looms as a major obstacle to the type of national unity Honaryar envisions. But the relative peace in Kabul affords Honaryar the luxury of campaigning around the capital, addressing large and small gatherings of potential voters in their homes, hotels, schools, and markets. Her passionate speeches — often delivered to separate gatherings of men or women — call for social justice and respect for human rights. Reaching as many people as possible is key to entering parliament, where seats are determined by simple vote count based on the number of seats reserved for each of the country’s 34 provinces. In the 2005 election, 358 women ran for office, a showing that has been improved upon by nearly 50 candidates this time around. As a child, Honaryar struggled through years of war and anarchy in the 1990s but considers herself lucky to have grown up in the northern province of Baghlan, where no Taliban control meant her pursuit of an education and dreams of becoming a pilot were unhindered. After the fall of the Taliban regime in 2001, she became a human rights campaigner, providing her with experience in grassroots issues that she hopes will propel her to parliament. Women have gained substantial representation in state institutions in Afghanistan, but despite their achievements under the current political system, they remain the primary victims of violence, disease, and poverty. This is no different for women politicians. The Free and Fair Election Foundation of Afghanistan, an independent watchdog body, says that women remain the main target of election-related intimidation. For every 10 threats made against candidates, nine were made against women candidates, according to the foundation. Outside of Kabul, particularly in the insurgency-plagued rural provinces in the south and east, the risks faced by women candidates rise considerably. Threats come in the form of phone calls, hate mail, defaced campaign posters. Sometimes, candidates’ supporters or staffers are targeted. In the most recent example, unknown gunmen on August 29 killed five campaign workers in the western Afghan city of Herat. They were canvassing for Fawzia Gilani, a sitting woman lawmaker seeking reelection. Authorities have yet to establish whether the killers were political rivals or insurgents. 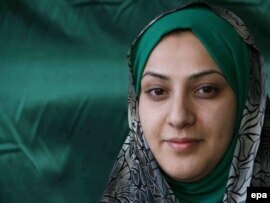 Nahid Ahmadi Farid, a young candidate in Herat, is not discouraged. At campaign rallies inside mosque courtyards and private homes, she promises economic opportunities and greater rights that will improve the lives of women and their families. Armed with a political science degree from George Washington University in Washington, D.C., the mother of one knows how to appeal to her largely female audience. In the southern Afghan city of Kandahar, neighborhoods are not immune to Taliban bombings and targeting assassinations, despite an ongoing NATO offensive. Rana Tareen, a vocal activist and former head of the Women Affair’s department in Kandahar, is running for elections again. Unlike her previous campaign in 2005, holding public gatherings and speaking about burning issues such as accountability for perpetrators of war crimes is simply too risky. The 33-year-old mother of four now runs a low-profile campaign, contacting key community interlocutors by telephone and holding small gatherings with women inside private homes. Her key message is justice and respect for human rights. She is not pleased with the state of government-promised security, but hopes that unlike the 2009 presidential election, fraud will not mar these polls. She worries, however, that if security concerns result in low turnout, her chances of being elected will be seriously undermined. Despite the challenges, women candidates appear eager to give their male counterparts a run for their money. They will be competing in some cases against warlords, clerics, and moneyed businessman in a patriarchal society where power still largely flows from the barrel of a gun. 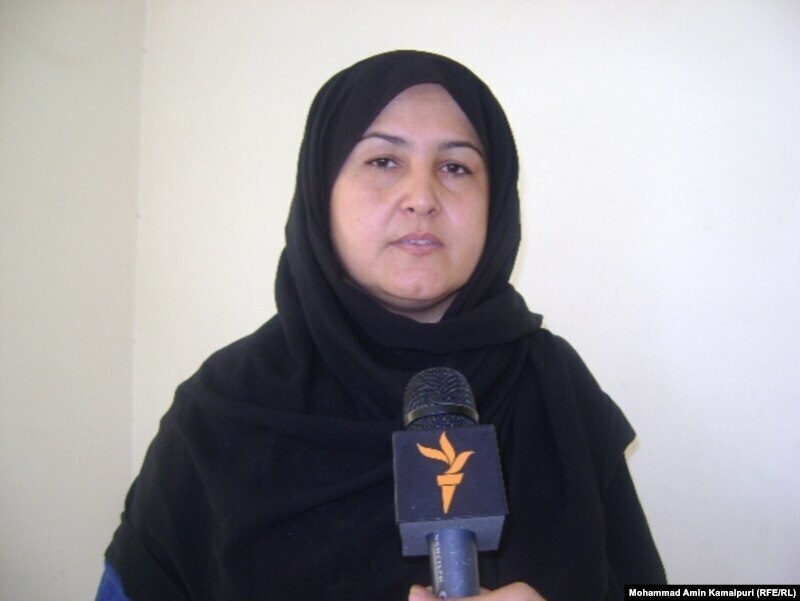 Seeking reelection in Kandahar, Fereba Ahmadi Kakar asks her constitutes to defy all threats on election day.